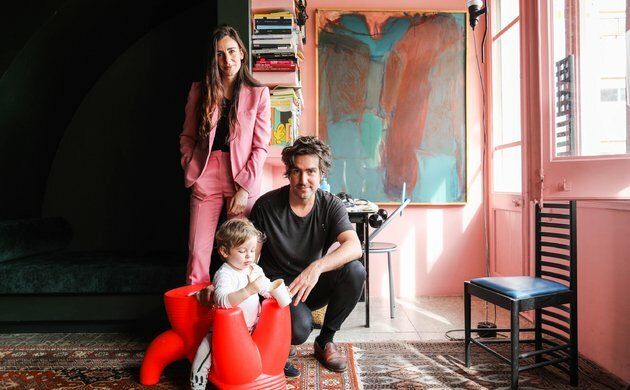 Spotlight on the Spanish Design Scene. Barcelona is the new centre of creativity. 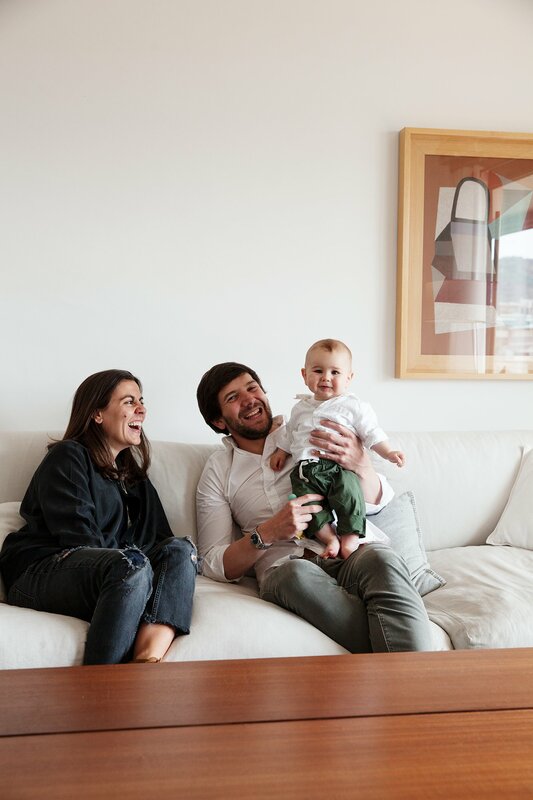 This is where we meet Andrea Conti, a lady with a philosophy which permeates her professional and her family life. It’s one of precision paired with simplicity, and tinted with a refreshingly joyful spirit. She always knew she would dedicate her life to Interior Design. Her desire to work in this field independently quickly became a reality. With her colleague Isa Cert, they co-founded studio Conti, Cert five years ago. An agency with a distinctive approach that gives each project a recognisable style. The more you get to know Andrea, the more you discover. 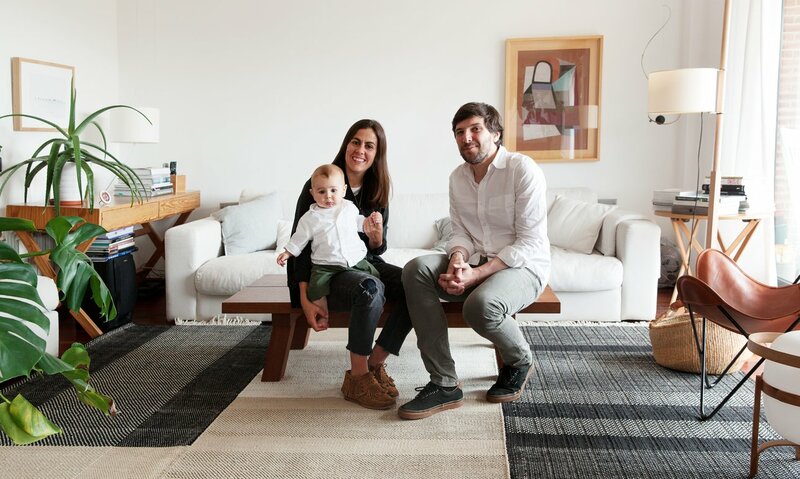 With an optimistic outlook, an eye for detail, and an innate understanding of volumes and light, she provides unconditional support for Barcelona’s design scene, and for Spanish design in general. With precision and confidence, this Interior Designer showcases select pieces of her favourite designers in all the spaces she creates. A vision by which multiple projects past, present and future take flight. Andrea, can you introduce yourself? I’m 33 years old. I was born in Barcelona. I’m an interior designer and I co-own a design studio Conti, Cert. 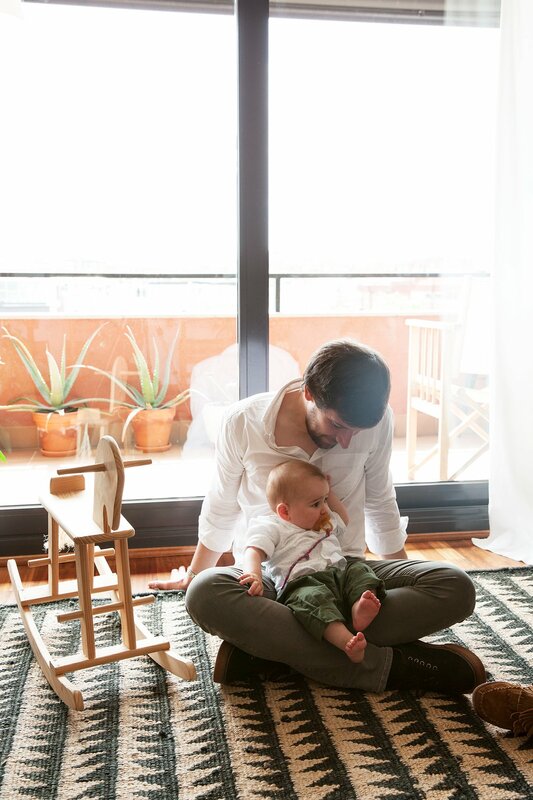 I live in Barcelona in a very calm neighbourhood with my husband Carlos and my 7-month-old son Felix. 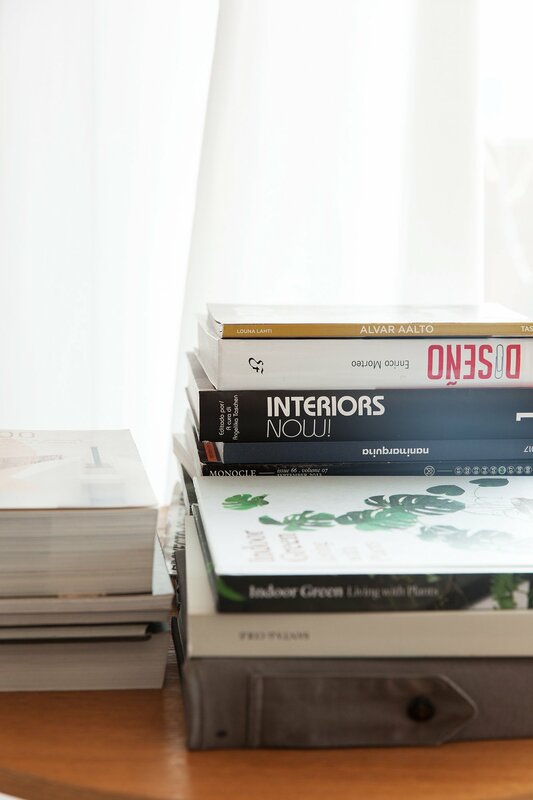 How came your passion for interior design? I liked interior design since I was a kid. I always knew I would have my own studio. For the first 4 years after I finished school I worked in different studios to gain experience and I clearly realised I didn’t want to have a boss. Working for myself makes me happy. The path has been difficult and even now it’s not easy but life is made for the brave. I can now say the studio is consolidated and that we have achieved it. You created your own studio, can you tell us a more about it? Conti, Cert is made up of my partner Isa, myself and our team. For us, the claim “Positive interior design” in our brand is an attitude, a way to understand life and work. We are a small studio and we want to continue to be small. Our objective is to grow a little bit more but not much more. We risk losing our essence. I’m happy with what we have and what we have reached. We started the studio in 2012. My partner and I we were and continue to be very good friends and at some point, we decided to work together on a project. We got along really well and we decided to start the studio. We like to cook everything over a low heat. From the first collaboration, we started to get new projects and these first projects led to what Conti, Cert is today. We started to work from home and I lost track of all the places we have been in the last 5 years. Two years ago we moved to a very nice studio in a small street in the Putxet neighbourhood in Barcelona. What kind of projects do you work on in the studio? We do all kinds of projects. Houses, hotels, cafés… But all of them have a common denominator. Each of them is customised. We drive the project up to the last detail. We are really perfectionists and nothing is left to chance. If we were a bigger studio we could not do it. People usually tells us that we have a very distinct style and that is something that we used not to like at first, but every time we feel more comfortable to have our own style. In the end, our style is our brand and our personal stamp that we have achieved over time with experience and with every single project we have done. We are recognisable. I do what I like and I do it the way I like it. I can’t ask for more. I like to transform spaces. To connect with the client. The result is always positive for both sides. A win-win in every aspect! What is the style of your studio? Young, fresh, professional, family friendly. We like to create spaces that are not just a trend and that will last in time. We like the client to feel comfortable in the spaces we create in every step of his life and that they can stay even if many years go by. People always tell me that we have a Mediterranean style. I like that, I feel identified with it. For me, simplicity is a luxury. 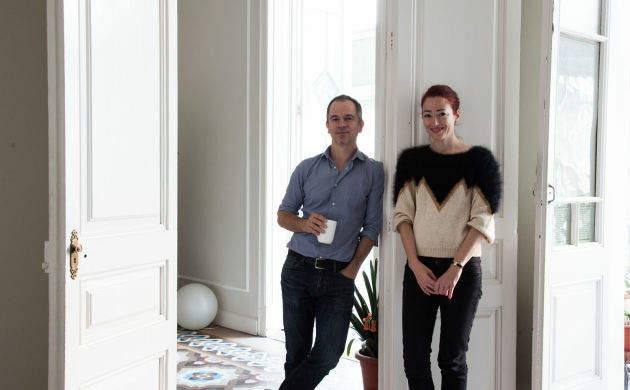 Can you tell us more about the design scene in Barcelona? Spain has changed a lot with respect to design in the last few years and Barcelona has become a benchmark for the rest of Spain. Barcelona is growing a lot in terms of design; before it was a must to have hotel or restaurant in New York now it has become a must to have it here. We have amazing Spanish designers. 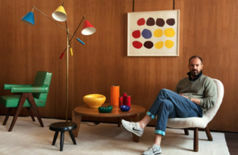 I’m personally a number 1 fan of design Made in Spain and I’m also in love with one of the most important designers. Miguel Milá. Absolutely everything that he has done is beautiful. In our studio, we always try to use a lot of national product and work with local craftsmen for our projects. We have really big brands with great designers as part of them like Santa & Cole, Nanimarquina, Carpyen, Marset, M114, Teixidors or Expormim (among others). We even have a collective of national design businesses (RED) that are well-recognised. What does MYBARRIO mean to you? MYBARRIO is a meeting point for design in Barcelona, young talents, artists and independent brands. 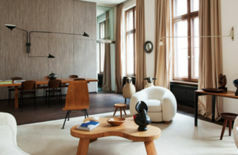 Hortense has a very good eye for good design and has been able to put together a nice group that share a common style. 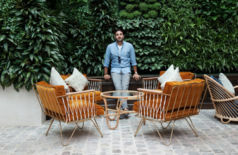 My home, a trip, nature, a meal, a moment in time, Sydney, Bali, Mexico, Brazil… I get excited about the architecture that combines artificial elements like concrete with natural elements like plants and wood. There is nothing specific that inspires me. Throughout my life, there are many things that have inspired me. An object or piece of art that you’d love to own? I will not be able to list all of them but thinking out loud I would definitely love to have a piece by the Basque sculptor and painter Eduardo Chillida. Which item in your home do you like the most? Possibly my couch. I’m not sure how long ago I designed it but it is the most comfortable couch in the world. It is in pretty bad shape but I’m not willing to change it. Its imperfection makes it perfect. All the lamps from Santa & Cole, my carpet from Nanimarquina and my designs with wood. Although what I like the most about my home is something as simple as natural light and the shadows that are created during sunset. Regarding design, which periods or people do you admire? I love architecture from the 50’s, 60’s and 70’s. Luis Barragán, Josep Lluís Sert, José Antonio Coderch, Antoni Bonet i Castellana and Ricardo Bofill are a reference for my work. Right now we have a lot of projects we are working on. If I get half of them I will already be very happy. The long term is not something I think about, you have to live day by day and not to put yourself into too many new challenges but achieve the ones that you face in the short term. A personal dream I have is to make a project in another country, take a deeper look and get away from the “usual” projects that are normally done here and introduce our design there being able to risk more with Design. A place you recommend in Barcelona? My favourite place in Barcelona is the Joan Miró Foundation. It is an amazing piece of art. Everything that surrounds it is inspiring to me. The architecture of Josep Lluís Sert, the Miró collection, the temporary art exhibits and the surroundings around it. Nature is also very inspiring to me and a place I can’t take out of my mind. People always tell me that we have a Mediterranean style. I like that, I feel identified with it. For me simplicity is a luxury. Catalan Spirit and Contemporary Design, the Ultimate Chic. 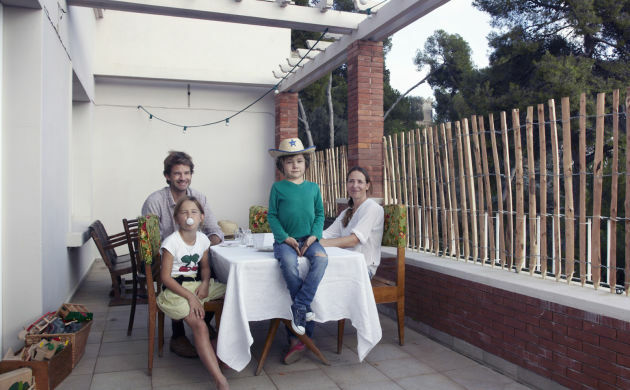 Bohemian family life in Barcelona.